It is just 10 days until the Social Connections 8 call for abstracts slides ever so tightly shut. Yes, you have just ten short days in which to submit your great ideas for sessions at the upcoming IBM Social Business user group, which takes place in Boston on 16th and 17th April. We’re looking to select 20-30 really tip-top sessions to fill out our provisional event schedule – we’ve had some really super abstracts so far (thanks go to everyone that has submitted) but we’d really love more! The theme for the conference is ‘Beyond the Enterprise‘, so you may wish to give some thought to how your topic relates to this. You can take it any way you like, e.g. bridging internal and external communities, working with partners, making Social Business relevant to small organisations, creating non-work-related social communities, and so on. It’s not mandatory for the abstract to relate to the theme, but obviously it would be even better if it did. 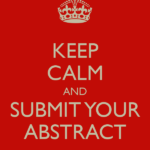 The deadline for submitting an abstract is Sunday 15th February 2015, so you need to get your proverbial skates on! If you’re an experienced speaker and want to submit your session that you presented at IBM ConnectED, or will present at InterConnect, Engage or ICS UG, then we’d be happy to accept it. We’d just advise that you might tweak it to suit the session lengths described above. Also, we do try to have a really interactive atmosphere at Social Connections, so make sure you leave some space for questions and feedback from the audience. If you’re new to speaking at events such as user groups and conferences, please don’t let that put you off! We all have to start somewhere, and we’d love to support you make your debut at Social Connections 8! You might want to consider submitting for the Spotlight track mentioned above, which would give you an informal 15-minute slot to cover your case-study, concept, solution or idea. If you need longer, but feel unsure about delivering a session alone, please reach out to the Social Connections team – either one of us would be delighted to assist or co-present, or else we can recommend another speaker that might be ideal for your session. We’re always very keen to receive submissions for the case-study track, so please give some thought to whether you can tell your own organisation’s story regarding adoption of Social Business technologies. Typically case study sessions get really high ratings from attendees, as well as comments that suggest how useful they’ve been in assisting their own organisation’s journey. Please consider submitting multiple abstracts for different topics and tracks. The selection team will be trying to create a balanced and informative schedule for the two days of the conference, therefore we may (for example) have a surplus of great management sessions, where a quality administration abstract would have been selected. So, ten days and counting! Hope to read your abstract(s) very soon!